CS:GO is short for Counter-Strike: Global Offensive, and was released by Valve in 2012. Using high tempo gameplay and a rich heritage from CS 1.6, CS:GO has quickly become one of the most popular games in e-sports. Big tournaments are hosted each year, featuring huge prize pools with millions of people all over the world watching. As the game has become more popular, CS GO betting has also become more popular. Many serious betting companies offer CS GO betting in their range of services.  The biggest sites currently offering CS GO betting are Betway, GG.bet, and Arcanebet. We recommend that you create an account on either of these gambling companies if you are interested in getting started betting on CS GO. Below you will find information about the different betting alternatives that are available and also CS GO Betting Tips that can help you achieve greater results when getting started. The last point is something you should pay extra attention to as maps are sometimes removed from the professional scene and replaced by new maps. When this happens, you should always take your time to check how different teams perform on the new maps to find patterns that can help you achieve greater betting results. How did the teams perform in previous head to head meetings? All teams, even the strongest ones, have issues winning against certain teams. Check out team history stats to see how they performed against each other on LAN and at online tournaments. Look for potential strengths and weaknesses in head to head meetings and place your bets accordingly. A team playing at home shouldn't be underestimated. It might sound like it doesn't matter, but time and time again it has proven to be a big factor in team performance. This is not least true for Eastern European teams like Na’vi and Virtus Pro who receive insane support when playing at home. This is a proven factor that can make teams perform at their very best when they face other teams in the tournament. 4. Is one of the teams using a substitute player? All e-sport teams are forced to use substitutes, also called stand-ins, every now and then. This almost always affects the team negatively. When one (or more) regular players can't participate in a match, the teams can choose a substitute player. Even though the stand-in is a professional player, the team dynamic is affected by the change. Communication, an aspect of CS GO that is as important as player aim, is made worse by a new player, which makes it rare to see a team using a substitute player perform at their very best. The takeaway from this is that you should think twice before betting on a team with a substitute player. They might still win, but they are playing with a handicap. 5. Has the team been on top for too long? The CS GO scene has seen a couple of dominant teams during the years, like NiP, Fnatic, and SK, but there is one common denominator for all of them - everyone falls eventually. When a team wins tournament after tournament, they are analyzed in minutia by the other teams' coaches and players. Their tactics and strategies obviously work, so every other team will start creating counter strategies especially designed to counter what the great teams are doing. This is one of the reasons why no team in CS GO can be dominant for too long - sooner or later they will be de-throned. For this reason, it is often not the best idea to bet on the team that is most expected to win. The number of CS GO players is steadily increasing. At most, CS GO has had 850 485 concurrent players. The amount of players vary from month to month between 300 000 – 400 000. Each year, many big CS GO tournaments are hosted attracting huge prize pools and great viewer numbers. The most prestigious tournaments in CS GO are the so called Majors. 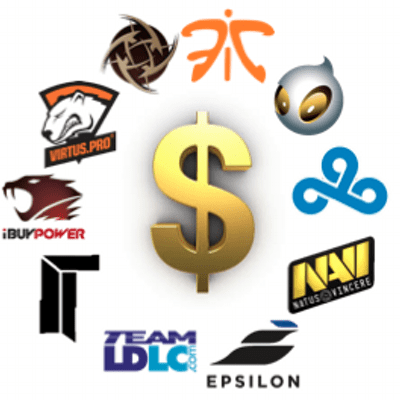 Majors are tournaments that are sponsored by Valve with at least $250,000. The first major was played during Dreamhack Winter 2013 and was won by Fnatic after beating NiP in the finals. This is the prime time for betting as live odds are updated on a minute to minute basis and the range of available betting alternatives are greater than during other tournaments. Below you can see a list of all the Majors in CS GO history. To see the complete list of all CS GO tournaments, we recommend that you go to wiki.teamliquid.net. Below, we have gathered the various betting alternatives we believe are the most profitable – and the alternatives we avoid when betting on CS GO. If you are new to the betting circuit, it can be difficult to know the recommended methods and the betting variants that give the best value by having good odds versus risks. For CS GO betting, there are many important aspects to keep in mind before betting with real money. One thing we always return to here at Fragbetting.com is that we always recommend our readers to not spend any money before they have done their research. Regardless which game you are betting on, the old saying is still true, not least for CS GO: knowing is half the battle. With this in mind, we have listed some of the most important aspects to review before you choose your betting strategy. The betting alternatives can differ depending on the betting company, and the following arrangement is from EGB. Betting on the team that will win the first pistol round is not only extremely fun, it is also a format where skillful betting matters. First, you should have a look at the stats on hltv.org to see how efficient different teams are during pistol rounds. Currently, you will find that NiP, Na’vi, and EnVyUs are top ranked in this category. The next part is just as important and has to do with checking out if the teams have a pistol specialist on their team. The above teams all have such players – NiP has Forest, Na’vi has Edward, and EnVyUs has Happy. These are three of the best pistol players in the world. If you are certain that a team will win a map with a couple of rounds to spare, it is always a good idea to bet on a team with a handicap. When playing with a handicap, you give one of the teams an advantage at the start, most commonly 4 rounds, creating new odds for both teams. The odds for one of the team is made higher as they are now four rounds behind and must win with at least 16-12 (in CS GO the team who get 16 rounds win the map). The odds on the other team are made lower as they now have an advantage. This is a classic format that will never go away as it is both exciting and requires thought. You bet on the team you believe will win, or if you believe there will be a draw. This is a format that is known to everyone who has ever betted on anything sports related and it is appreciated as it creates extra excitement to games all the way to the end as nothing is certain until the game is won or lost. Betting on the exact score means that you will try to predict the exact outcome of the game. The predicted score depends on the format, but the most common format is best of three rounds, and the format and alternatives is always shown before you can place your bet. If you are convinced that one team will destroy the other team, it might be a good idea to bet on 2-0 as a final score. This is a great betting alternative that rewards both gut feeling and knowledge. A betting alternative that is very similar to “Exact score”, however it is a little bit more forgiving as it doesn’t require the same precision. This means that it gives a bit lower odds, but it is still worth betting on if you are quite sure how the game between the two teams will end. If you are skilled at CS GO betting, it is possible to pick the winning team, not least if you have done your homework and have a great sense of the two teams. However, picking who will win each map is according to us at Fragbetting.com somewhat of a lottery. The only thing we like about this betting alternative is that it features high odds, but that is almost always the case with unpredictable bets. Despite not being the most difficult bet to win we recommend to instead bet on the exact score to get higher odds. If you don’t feel confident enough for that alternative we would recommend that you instead bet your money on that team A or B will win at least one map. You find the best CS GO betting odds at the biggest betting companies that have been active in e-sports betting for a long time, for instance EGB and GG.bet but you will always find the best odds at Betway. They also have the best range of matches to bet on and offer live betting. Betway was an early adopter in offering CS GO betting and are very dedicated to e-sports betting, which is evident in their fair and reasonable odds – something that cannot be said of all betting companies. William Hill is a case where the ones making the odds don’t have the required knowledge, resulting in bad odds for many matches. The odds are one of the factors we have had in mind when testing and reviewing the many different betting sites that offer CS GO betting. How do you play Counter Strike: Global Offensive? CS GO is an FPS (First person shooter) where two teams, terrorists and counter-terrorists team up against each other. CS GO uses the same game format as the first version of Counter-strike. Games are played in rounds that are 90 seconds long, and the first team to 16 rounds wins. In the competitive scene, where you can bet on CS GO, matches always start with a knife round where both teams meet at a preset location on the map. The team who manages to kill the other team only using knives gets to choose the starting side for both teams. After 15 rounds, the teams change side, meaning that both teams get to play as both terrorists and counter-terrorists. In other words, terrorists are the ones attacking and counter-terrorists are the ones defending. An important part in the game that makes CS GO stick out from other FPS games is the in-game economy. Every time you kill an opposing player, you get a certain amount of money depending on the gun you used (the worse the gun, the more money you get). Every player also gets money when a round is finished, but the winning team gets more money. The money is then used to buy weapons for the next round, adding a tactical element to the game as players need to keep track of both their own economy but also the opposing team’s economy. This information can be used to influence tactical decisions throughout the game.